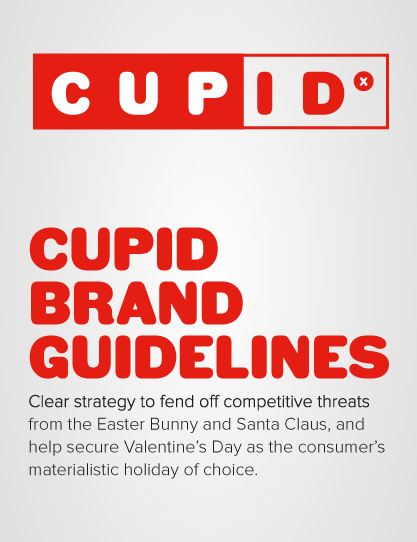 We released Cupid’s brand guidelines as our company launch on 4th February and we have been pretty chuffed with the response! 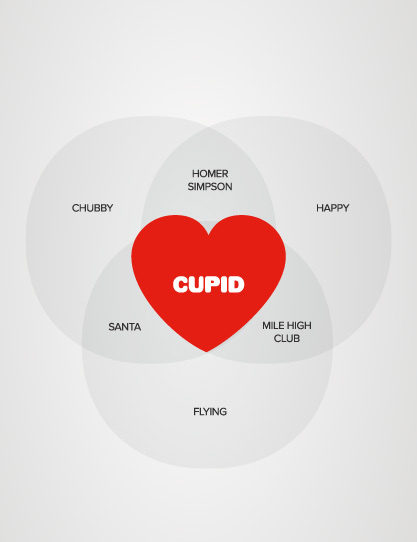 We took inspiration from UK communication consultants Quietroom’s *Santa* brand book and created Cupid’s brand guidelines – fighting back against Santa to ‘reposition Valentine’s Day as the consumer’s materialistic holiday of choice.’ What started out as a fun idea turned into a self-doubting process of discovering just how funny we really are. Or not. We uploaded the document to a new landing page on our site, posted a link to Facebook and Twitter and then sat back and stared at Google Analytics. The tension began to ease as the document picked up its first few social shares and we gained our first few coveted ‘LOL’s. At that point we set up supporting advertising with a Sponsored Update on LinkedIn, newsfeed ads on Facebook and some online behavioural ads. These began to drive some more traffic but it it really took off when we started getting featured on international websites. Under Consideration posted us to their Brand New blog a couple of days into the campaign, and they were soon followed by Design Taxi, Krush Design & Marketing, Brands of the World and others. Social shares picked up pace across Facebook, Twitter, Pinterest et al. and our incoming web traffic started climbing rapidly. Over the first 10 days of the campaign we have gained several thousand unique visitors a day to our site from all over the world – not bad for a brand new agency in the Cayman Islands! 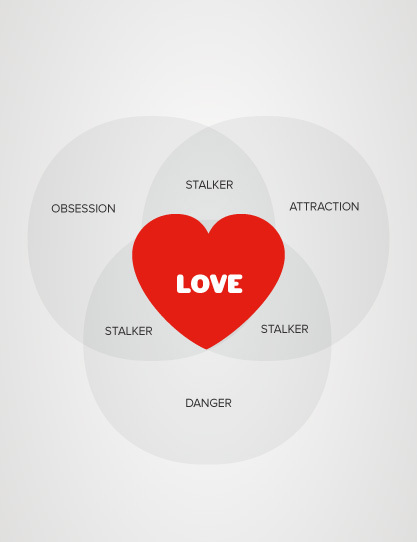 The Cupid campaign demonstrates the way we want to approach our own marketing, as well as how we hope to inspire our clients and others. We don’t want to conduct traditional ‘we’re an agency, we do agency stuff, call us now’ style advertising. Instead we want to create original and engaging products and push people towards those. In a world that is only getting noisier standing out from the crowd is becoming more challenging and companies need to find new and innovative ways to promote themselves. That’s our bread and butter here at MM so we hope this campaign is the first of many successful ones that lead by example.